Companies Commit to a Common Mobile and Fixed 3GPP Compliant Specification for 28 GHz and 39 GHz mmWave Spectrum Bands. Verizon, Qualcomm Technologies, Inc., and Novatel Wireless, an Inseego company, today announced plans to collaborate on 5G New Radio (NR) millimeter wave (mmWave) technology development and over-the air field trials based on the 5G NR Release-15 specifications being developed by 3GPP – the global 5G standard. The companies plan to work together to help move the mobile ecosystem towards faster validation and commercialization of 5G NR mmWave technologies at scale, supporting a full-scale commercial network deployment before the end of the decade. The companies expect the collaboration to include over-the-air trials, starting in 2018, that will be compliant with the first 3GPP 5G NR specification that will be part of Release 15. The trials will utilize 5G NR mmWave mobile test platforms from Qualcomm Technologies operating at 28 GHz and 39 GHz to test end-to-end applications in real-world scenarios, across a broad set of 5G NR mmWave use cases and deployment scenarios. 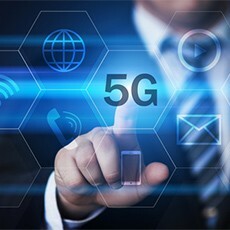 In addition, the trials will employ advanced 5G NR Multiple-Input Multiple-Output (MIMO) antenna technology with adaptive beamforming and beam tracking techniques to deliver robust broadband communications in real-world mobile or fixed environments, including non-line-of-sight environments and device mobility. Qualcomm Technologies anticipate utilizing learnings from the trials to help drive the ongoing development of the Qualcomm® Snapdragon™ X50 5G NR modem family to support anticipated commercial service launches starting the first half of 2019 based on the global 3GPP 5G NR standard.